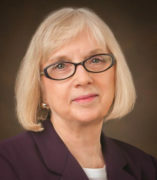 Marsha F. Cassidy is a media scholar and award-winning university teacher. Her central scholarly field is television history and criticism, especially within the context of gender, but she also studies and teaches 19th and 20th century popular literature, as well as popular film and its dominant genres, with a special interest in detective fiction, romance, and horror. Over the past decade, she has been active in developing teaching techniques that take advantage of emergent technologies, designing both blended and online courses. She regularly teaches core courses in the Honors College, supervises Honors activities, and directs Honors College capstone projects. In the English Department, she teaches and oversees Independent Study courses with students one-on-one and directs English Department senior theses. Her scholarly essays have appeared in a number of peer-reviewed journals and edited volumes since 1980. She is an active member of the Society for Cinema and Media Studies, a past co-chair of the Television Studies Interest Group, a founding member of the Women’s Studies Interest Group, and an almost yearly presenter at SCMS’s annual conferences since 1997. Beginning in 2000, she has presented a series of peer-reviewed papers at Console-ing Passions, the International Conference of Television, Video, and Feminism, and most recently joined the Society for the Cognitive Study of the Moving Image, debuting her first paper in 2016, “Six Feet Under and the Sublime." Her research monograph, What Women Watched: Daytime Television in the 1950s(University of Texas Press, 2005) offers a feminist appraisal of popular women’s genres before the prominence of soap opera. Her newest work applies theories of phenomenology, feminism, neuroscience, and cognition to television’s biocultural and somatic dimensions; recent essays have described the synesthetic appeals of cigarette advertising before its ban on U.S. TV; the feminist meaning of eating, dieting, and vomiting in Mad Men; the kinetic and proprioceptive depiction of wheelchair users in the Sundance Channel’s acclaimed reality series Push Girls; and the deployment of shifting states of consciousness as a meditation on death in the TV series Six Feet Under. Cassidy’s excellence in teaching is widely recognized. In 2012, she won an international teaching award for Outstanding Pedagogical Achievement in Cinema and Media Studies, conferred on one recipient each year by the Society for Cinema and Media Studies. At UIC, she has received four University-wide and peer-reviewed awards and grants from the Council on Excellence in Teaching and Learning and a Distinguished Teaching Award in the Department of English. Graduating seniors at UIC have honored her with two Silver Circle Awards for teaching excellence, in 2011 and 2016. Her service contributions to the University have likewise been acknowledged; in 2011, she received the University of Illinois Distinguished Service Award as the single honoree from the UIC campus.